Amongst all of the hullabaloo of the World Cup and their excessive nosepicking, one baseball players stands tall in the crowd and proclaims to the sports world: We baseball players pick our noses as well. 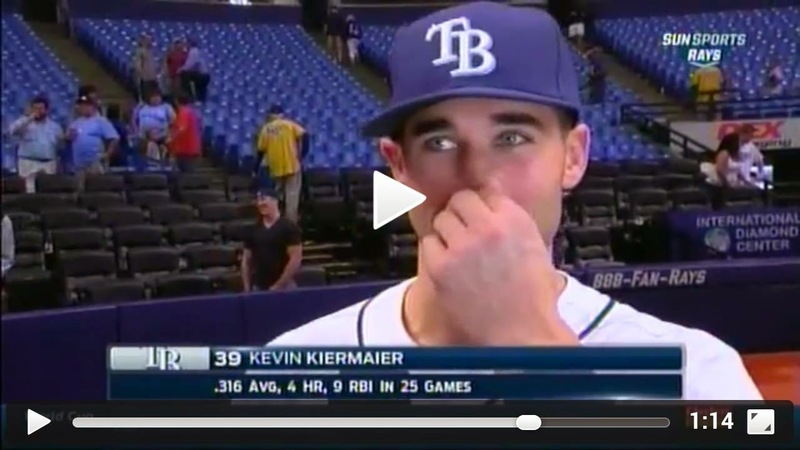 Lest people forget about how much free time there is in baseball to pick their noses, Kevin Kiermaier stands proud, facing the world in an interview and shows that baseball players are just as capable of picking their noses. I didn't forget Kevin. Clamp that nosepick with pride. A website dedicated to finding, archiving and presenting athletes picking their noses. Enjoy. If you have any pictures you'd like me to share, please feel free to email me at ely@athletespickingtheirnoses.com or comment or even like if you're a stumbler.